This month we’re featuring Multiplayer here at NitWitty Magazine, and we have a wide variety of topics both common and rare coming to you all through November. But before we get into that, I wanted to take a moment and explore an altogether different way to experience multiplayer anything – which is as a game of solitaire. I’m not talking about the single player that is sometimes stapled onto the raison d’etre of the game, like the abortive “campaign” mode in any of the Battlefield games. Instead I want to take you through some of the fun ways that you can also enjoy multiplayer without getting all those other people involved. 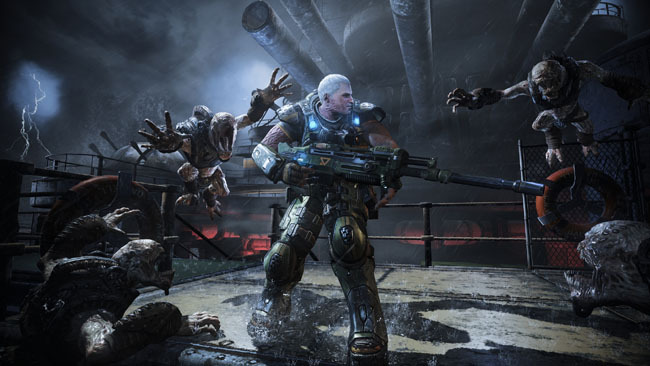 To get this party (of one) started, let’s look at one of my favorites: Gears of War’s Horde Mode. For the uninitiated, Horde Mode is a game type where a small squad of soldiers, known as “Gears,” fight off wave after wave of increasingly difficult enemies. The goal of the game is to get together with some buddies and see how many waves you can clear before you are overrun by the Locust and (I assume) made into bulk packaged lunch meats. When you’re playing with other people, you look for ways to flank your enemies and keep on the lookout for special enemies that require special tactics. For example, as soon as one of you hears, “BOOM,” you let everybody know that a Boomer is inbound and to keep on their toes. Since you can revive your teammates the gameplay also encourages you to stay close together, and not run rampant all over the map. When it was first introduced in Gears of War 2, Horde Mode was rightfully touted as one of the defining and coolest features, and you’ll get no disagreement from me. You can, however, set the match type to Local when you load up the game. Instead of playing with a group the game will drop you all by yourself and makes no change in difficulty. From the get go, you will be overwhelmed. Soloing Horde Mode means that you will never have any sort of numerical superiority and your ability to flank anything is reduced to zero. Weapons like the shotgun are a sure fire way to get wrecked and gods help you if you try to get in and chainsaw anything. You may get that one guy but, unlike you, he has friends that will avenge him. Not to mention the fact that to be brought back from the icy grip of death requires you to have a friend around. In solo mode nobody can hear you scream… for help. Remember, if you’re going to Solo Horde always be sure to use a Carmine. Then your inevitable death is canonical! As you can imagine (or try for yourself) this changes how the game is played on a deeply basic level. Since the only information you have is what you can actually see, situational awareness becomes paramount. There’s nobody around to let you know a Boomer is coming for you, so you need to pay attention. Of course if you actually see one you can’t just rush in and start shooting. What can happen is that there would invariably be something that you didn’t see and you charged you right into a trap, followed quickly be a defeat screen and a loading page. Even grabbing ammo might not be the best idea since there might be an enemy with a long range gun that wants nothing more than to nail you. Everything is a risk because without a buddy everything can be totally lethal. Finally on the topic of Gears, when you are running Horde all by your onesies, you discover the joy of the gunning retreat. 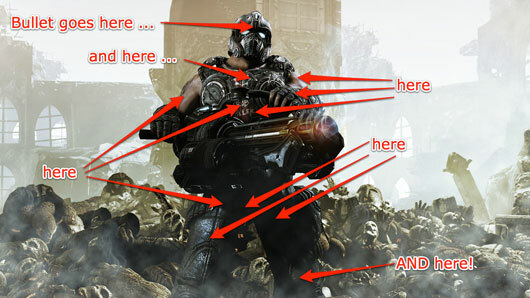 For the most part, Gears of War asks you to attack. “Always be attacking,” it says. “Flanking and movement is your friend,” it continues, making you feel uncomfortable that the game is talking to you. Going forward is the result of the way the game is designed. Solo Horde asks you a different question, “Where is your exit?” It also asks the slightly less important, “How long can you stay here before you need to use that exit?” That’s because on solo you’re a one man (or woman) guerrilla war. Staying alive is the most important thing. So you attack when you can, but spend most of your time looking for good places to launch an ambush. The closest comparison I have, is that playing Horde all by yourself is the closest thing to a Die Hard simulator you are gonna get. 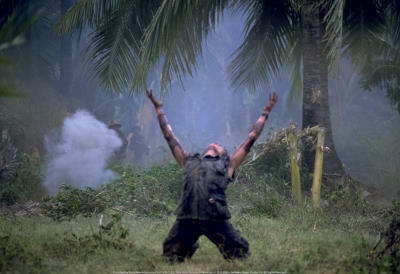 The hills are alive with the sounds of gunfire. 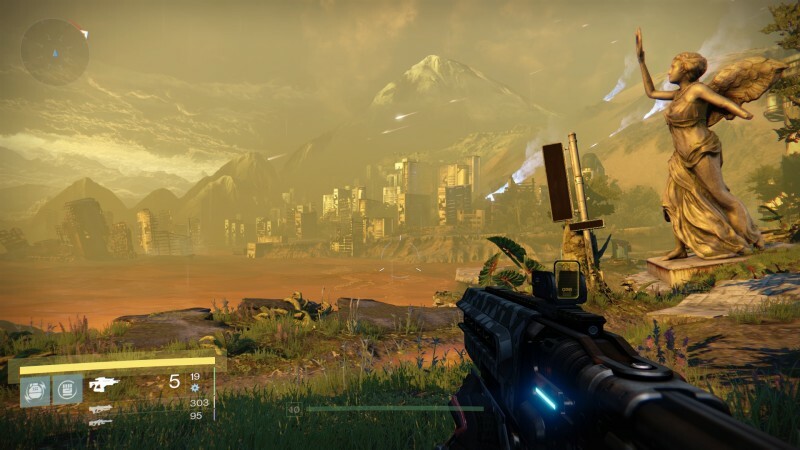 Another game that is delightful to play solo is Destiny. We’ll have a full Destiny: The Taken King review later this month, but this is still a good place to encourage you to be a loner. First of all, when you’re playing with other people you run a lot. 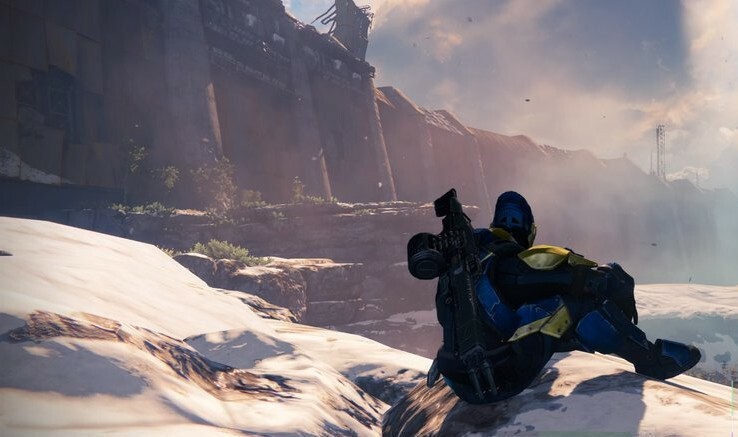 You sprint to get to the fights and you ride your sparrow to the locations. The fights are kinetic and violent and if everything is going well you feel like a member of the Avengers. Generally though, the multiplayer Strikes are exercises in raw aggression towards whatever poor assholes drew the short straws and get to fight you. When you get rid of the other people it fundamentally changes the pace of the game. I’m not saying that it’s any better, but it certainly is different. It’s far more akin to the gameplay of the Halo series than the other multiplayer based options. Here’s an example of what I mean. When I was first dropped off on Venus to run some missions as part of the story, I found myself spending a lot of time just looking around. Seriously, take a moment from raiding and striking and whatever else you’re doing on Venus and just look at stuff. It’s literally a place that was terraformed and then it didn’t take. I would put a baby inside the art design of that entire planet, it’s amazing. If you’re playing with your friends, they probably don’t care about any of that and instead want to shoot guys with your compadres. 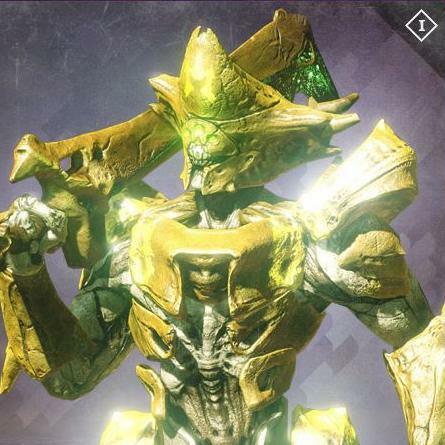 I’m not saying it’s a bad thing, but without those other people telling you where to go to get “sweet” exotics, you can take your time, enjoy the sights, and smell the spinmetal. Welcome to Venus. I would have tidied up if I knew you were coming. The other part is that when you are running a game solo you play differently. Again, like the Horde Mode mentioned before, you are strongly encouraged to be conservative in your play. 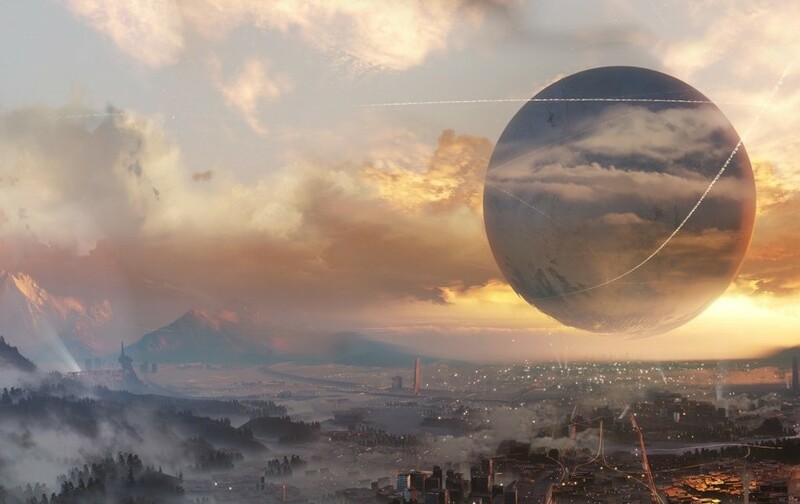 For example, when I want to wander the worlds of Destiny I always bring my Defender Titan along. I do that because he is covered in armor and if things start to get out of hand I can always throw down my personal space bubble. Since you don’t have people that will pick you up and dust you off, you really need to not fall down. Even then that conservatism will lead to a general feeling of fear. Yes, fear. In spite of being encased in future armor, going into someplace dark and knowing that you don’t have any backup still slows you down. You find yourself crouching, and peeking out from behind corners with long range scopes. Like in Gears Horde Mode you are always looking for places to escape, and wouldn’t you know it? When you’re looking for places to hide you will sometimes find yourself staring at something gorgeous. Sardon. Contrary to his name he isn’t sardonic. For the uninitiated, Sardon here is one of the sub-bosses in The Dark Below expansion of Destiny. If you brought people along, he’s basically just a punk that you can circle strafe as a group until you take all of his health away FTW. If you’re running solo, well that’s a horse of an altogether different chemical dependency. In that case you’re alone in a dark pit, without access to many of your movement skills in a fight to the death with somebody bigger and stronger than you. In other words, he’s not just a target, but a threat. So with that, maybe I’ve encouraged you to try playing a multiplayer game by yourself. Sometimes the experience is a totally different and worth the attempt. Also, don’t limit your solitaire options to my examples, there’s a whole world of multiplayer games out there that have people you can ignore. Besides, if you’ve decided to be a lone wolf, there’s nobody around to judge you.